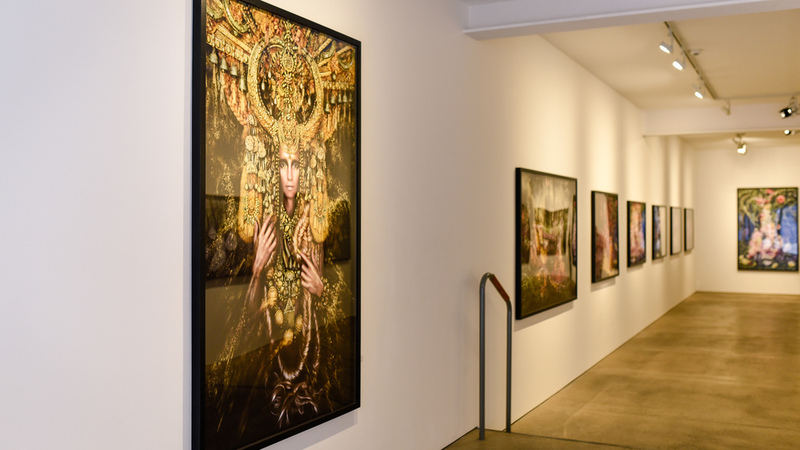 'Wonderland' by Kirsty Mitchell, is one of those collections whose magnificent elegance and monumental intricacy can only be truly appreciated when you stand face to face with it. The massive prints allow for every minute-yet-deliberate detail to speak out, and tell each picture's story in a vivid and brilliant fashion. "'Wonderland' began in the summer of 2009 as a small summer project born of grief for my mother Maureen, who died 7 months before in November 2008. Back then, as I sat in my kitchen sewing the first rough costume, nothing could have prepared me for the 5-year journey that lay ahead. 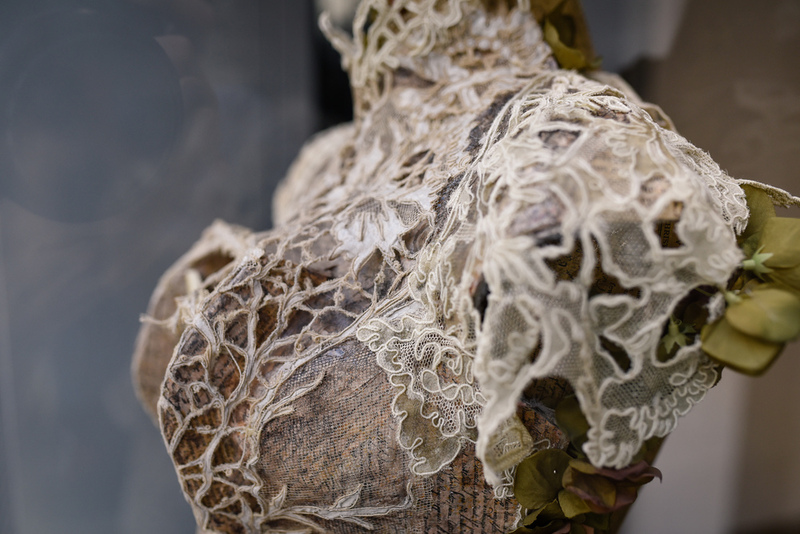 What started as a desperate distraction from the pain of reality, led to a dramatic turning point in my career, and consequently my life..." - Kirsty Mitchell. Often taking a month, or even a year of waiting and preparation, each picture in Wonderland is a masterpiece of passion, inspiration and dedication. Kirsty's experience as a fashion designer allowed her to build unique worlds of fantastical characters, that have now been immortalised in the most colourful and pristine images. "She'll wait for you in the shadows of summer." - My favourite piece. Looking up at the artwork I have admired and followed for years, was a truly humbling and inspiring experience. It encourages you to reflect on your own creative process and inspiration, and on what truly matters. Another photographer, the curator and I all marvelled together. I only wish I could have met Kirsty to congratulate her myself. Sadly, only hours after I left, the gallery closed for final time on this 6-week exhibition. I strolled down Regent Street to meet my muse Kristina, at the end of her day modelling for a Nikon masterclass, positively buzzing. I had so many ideas flowing. I wanted to create my own wonderland. It was the perfect study in patience and detail, thought and exploration. Not to mention the perfect advocate for the argument that we 21st century photographers need to print our prized and invested visions out more. It was a wonderful experience to walk through Wonderland. 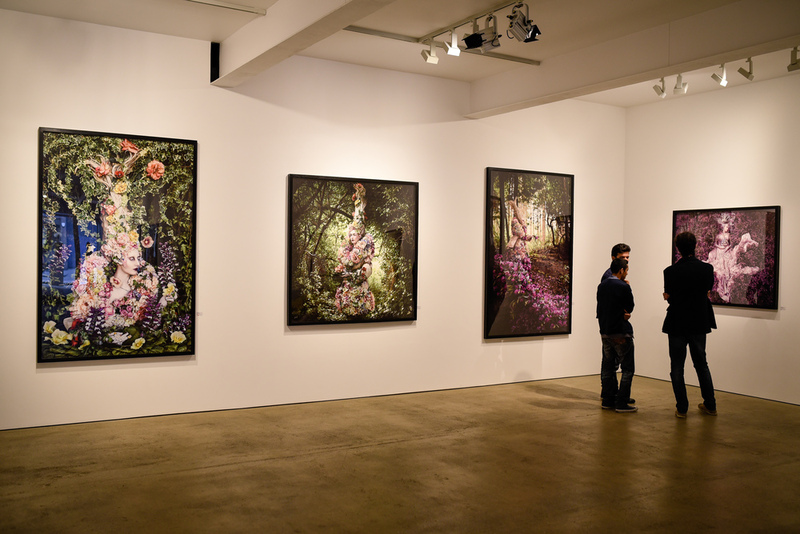 Click here to see the full Wonderland series on Kirsty Mitchell's website.